Managing support issues for your clients is no easy task, especially when it’s an emergency. Occasionally I get a frantic late night call, but most of our clients reach out to us via an email containing the word “Emergency” or “Urgent” somewhere in their distress message. The problem is I can only answer this urgent issue if I know it’s in my inbox. 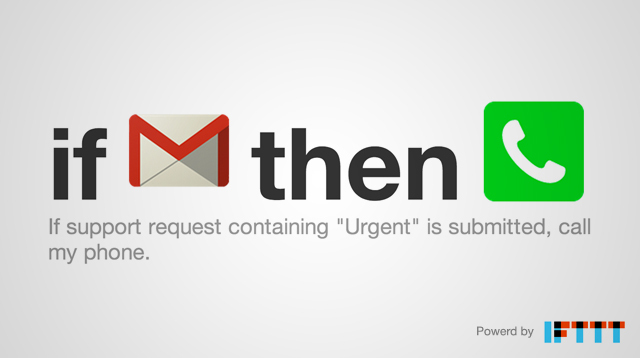 In this post I’m going to show you how IFTTT helped solve our problem of getting notified. We’re still working on that problem of what’s an emergency and what’s not.